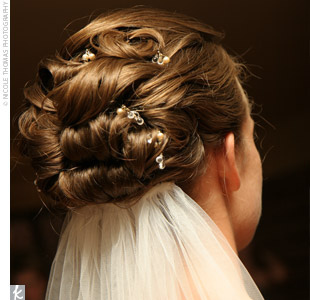 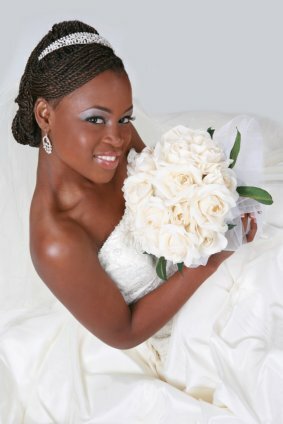 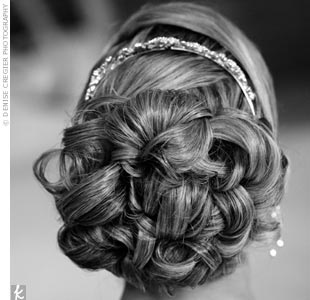 Outdoor wedding hairstyles to consider would be those that keep the hair up and away from the face. 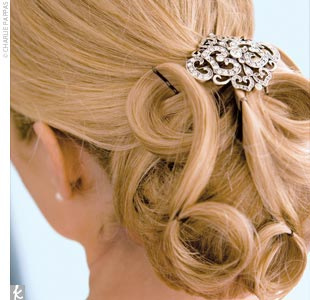 Keeping the hair away from the face prevents the wind from blowing it into your eyes and mouth. 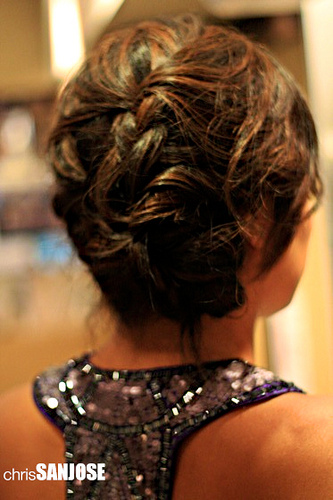 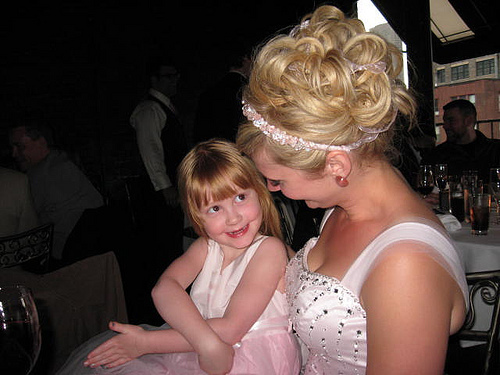 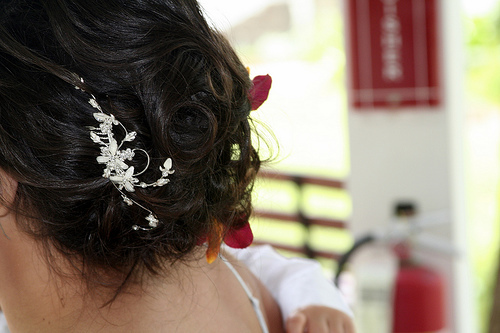 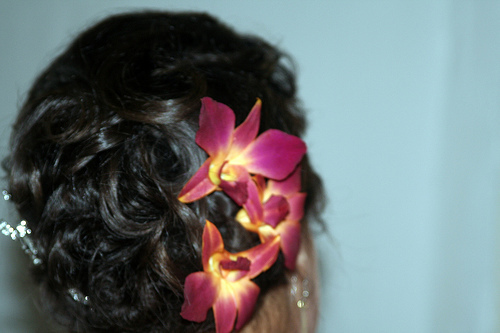 There are lots of up-dos that are perfect for the outdoor wedding. 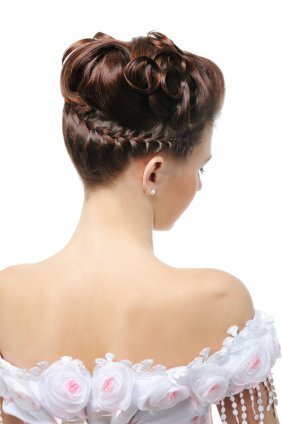 You may be able to find one you like by searching the internet, looking in magazines, or going to your hairstylist for suggestions. 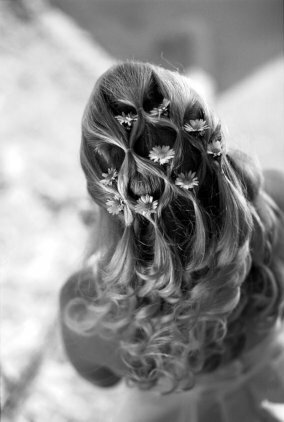 My advice for the perfect hairstyle is to choose one that will keep the hair away from your face and be resilient in the wind. 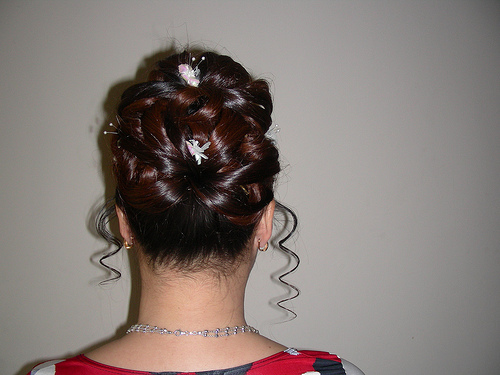 This can be achieved by using combs, pins, barrettes and clips. 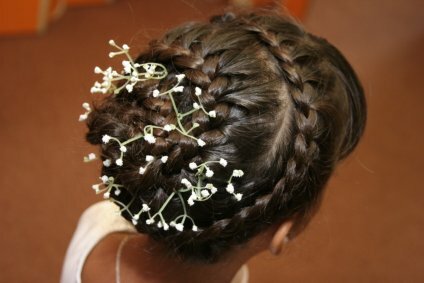 Many of the combs, pins and barrettes make nice accessories for that little extra in pizazz needed for a wedding hairstyle. 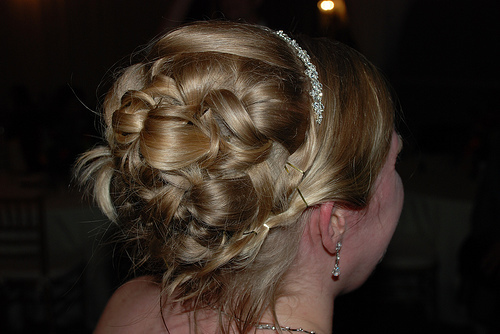 Please be sure to try the style out well in advance of the wedding just in case it's not very flattering or can't be achieved by the person you are planning to have style your hair. 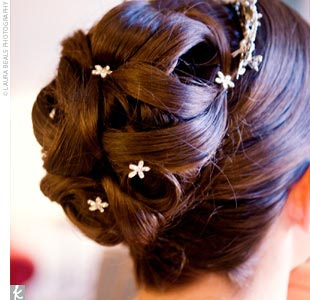 Below are some great ideas, hope they inspire you.